Yesterday, Nintendo unleashed hell on earth pre-orders for Wave 4 amiibo figures. 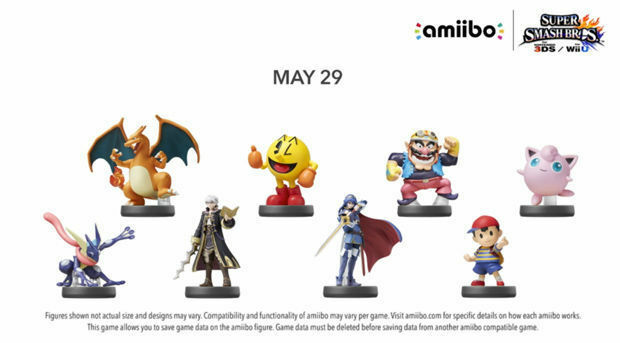 The current lineup includes Robin, Lucina, Ness, Pac-Man, Charizard, Wario, Jigglypuff, Greninja, and three Splatoon flavored toys. As someone who follows this craze partially for reporting purposes and in part due to personal interest, it was the absolute worst day yet for amiibo fans. What started off as a great plan ended in shambles yesterday. On April 1, GameStop announced to the world that Ness was a exclusive to the store. I heard the collective groans of potential buyers everywhere, as I've seen this phrase a hundred times over -- "I don't even like amiibo, but I think I'm just going to get Ness because he's my favorite." When GameStop further clarified that "online and in-store orders would go live at 3PM EST" the following day, everyone breathed a collective sigh of relief. Unfortunately, corporate had other plans for the rollout and didn't actually tell anyone publicly. While the entire internet waited for 3PM EST as they were told, I obtained a memo from GameStop that morning that I shared with our readers. In short, it basically stated that the 3PM EST online announcement was a lie, and that pre-orders wouldn't actually go live until "later in the day" at an unspecified time. Instead, GameStop was going to push people in-store to get them to pre-order, with priority going to those people who could shirk their responsibilities or their jobs and head to a retail location. That was problem numero uno, and a very scummy tactic on their part to bait and switch. Problem numero dos happened shortly after. As it turns out, having every single GameStop location in the country try to process orders at the same time is a bad idea. Based on my experience in-person and testimonials across the country, it took roughly one hour for the first customer in line to get processed. Then yet another issue promptly reared its ugly head. What GameStop had done to speed the process up is provide one giant SKU for all of the Smash amiibo line, so you could just get them all and walk out. It was a great idea in theory, but the SKU wasn't actually its own allotment, it was directly linked to all of the other separate amiibo listings. When it came time for the second person to put in their order across the country (after another 30-60 minutes), Robin and Lucina were instantly sold out, and their "package" order was instantly canceled, forcing them to retry another order. At that point, everything was sold out except the Splatoon 3-pack, and in some cases, Ness, who took another hour to go through. I was at my GameStop for over two and a half hours and walked out with an order for the Splatoon pack. The customers at my location were rather accommodating and understanding, and we had a great time talking about the world of gaming with the manager. But other stores weren't so lucky, as I can attest to pictures of broken displays, store damage, and one case of a customer being ejected by shopping center security. Sure enough, GameStop's system completely crashed that evening, and no online orders went up for that day. At this point it looks like anything online at GameStop may not even happen at all. If you couldn't leave work, school, or an appointment to go in-store, tough. Oh Target, we meet again. Rosalina was one of the worst experiences yet in terms of amiibo hunting, as she went up completely without warning in the middle of the night on Target's website and sold out within minutes. There was no indication that online pre-orders would even open, and after they sold out Target took to Twitter to basically state "tee hee, no more pre-orders, you'll have to hope she's in stock at our store at launch." It was so bad that Target obtained a memo from corporate the morning of her release, noting that Rosalina would never be restocked. It looks like the exact same thing happened with Jigglypuff yesterday morning. 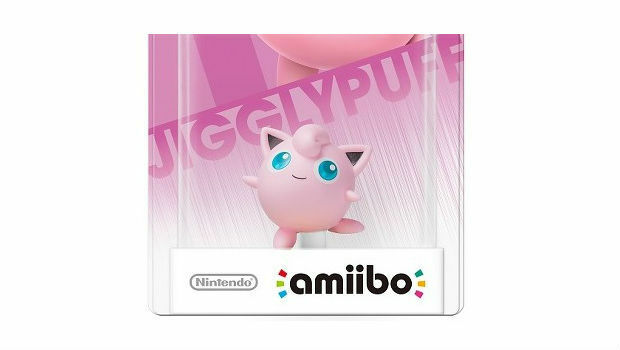 With no warning at roughly 10AM EST, Jigglypuff went from an unannounced figure to a Target exclusive, to being completely sold out in the span of about 30 minutes, before most of the people on the west coast could grab their morning coffee. Target also gave the same "you're screwed until May 29" response when asked about future pre-order rounds. Another exclusive launch bites the dust. I sense a pattern here. Why is Nintendo damn secretive about amiibo news? 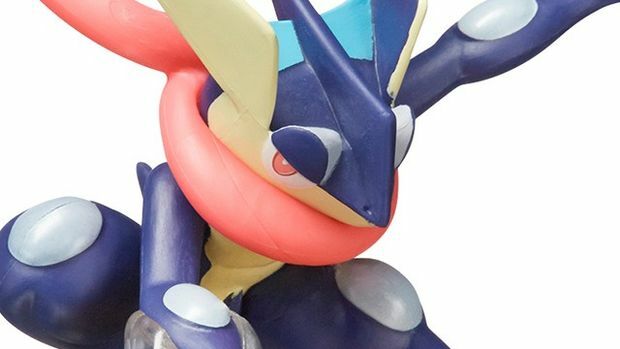 Lastly, we arrive at yet another exclusive amiibo in the form of Greninja at Toys"R"Us. Yesterday, outlets reached out to the retailer to find out when pre-orders may occur, and the standard response was "from 7 to 9AM EST." I set my alarm for 6AM just to make sure, so I could report on it when it did drop. Of course, we all know that life doesn't work out how you want it to, and they went up at 3AM EST for around 15 minutes. 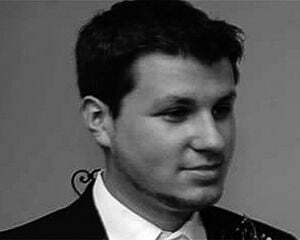 Luckily I had a guardian angel in the form of our own Brett Makedonski, but thousands of others weren't so lucky. Joining the ranks of Rosalina, Greninja was the latest amiibo go up in the complete dead of night while most of America was sound asleep and completely sell out. I've said it multiple times, but regardless of "port strikes," "unforeseen demand," "retail fumblings," or other issues not attributed to Nintendo, most of the problems with each wave stem from the mere fact that Nintendo itself is making these exclusivity deals in the US. The shocking thing is that it saw how poorly these deals went down with prior waves and decided "screw it, let's do more." They actually had a good thing going on with the Gold Mario figure, so it's puzzling that they'd regress like this. They provided enough stock to last four or five pre-order rounds, Walmart announced it before it went online, and most importantly, it's a variant figure that already exists in two forms. If you want Mario you can readily find him without having to hunt down the gold version. If you want Marth, Ike, Robin, or Lucina for Codename S.T.E.A.M's DLC -- sorry, you're out of luck unless you feel like importing. Which, funnily enough has caused stock issues overseas, as some of my friends who own small businesses are reporting that US customers have drained all their allotments. Back in 2014 directly following the Marth, Villager, and Wii Fit fiasco, a Nintendo rep answered fan questions regarding amiibo during a Reddit Q&A session, and noted that exclusives will happen "as long as retailers are willing to pay" -- I don't expect that to change anytime soon. It's a shame, because while most of the people reading this are fairly savvy consumers (savvy enough to read a tech or gaming blog at least), I'm just thinking about all of the young Nintendo fans or clueless parents who have no idea how scarce amiibo are. While every Wave has had its snags, Wave 4 is the worst storm yet. Nintendo really needs to rethink its strategy, as well as take some direct cues from Activision's Skylanders and Disney's Infinity lines. One of the core issues is secrecy. Nintendo has this thing where you aren't allowed to know what is going on pretty much at all times. While Activision often shows you the entire lineup for a Skylanders series at the start then releases it in waves (you get a really cool poster thing that has everyone on it! ), Nintendo sat on reveals for months. That secrecy may work for games that can be purchased digitally without fear of a shortage, but it is very clear that Nintendo is out of its depth here, and something needs to change.